PCS (Public and Commercial Services Union) at Clapham Junction is no longer planning to sell its building immediately. 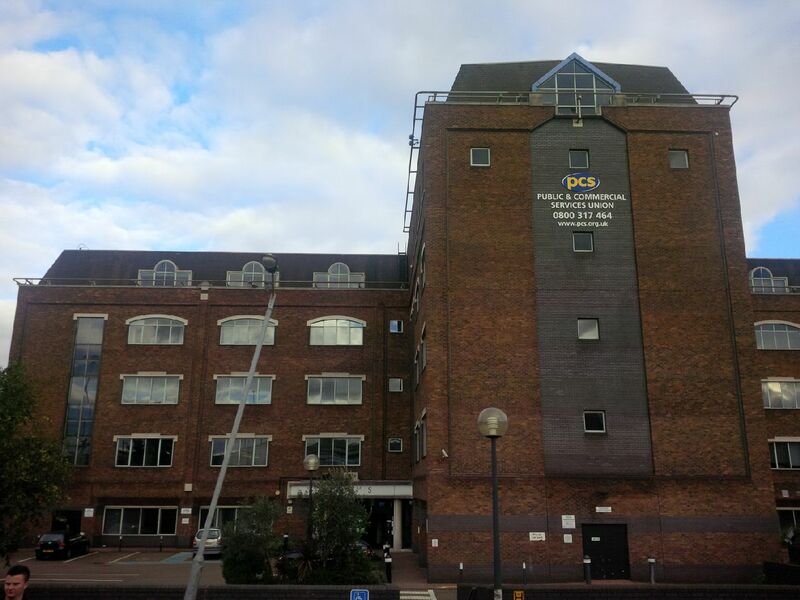 A plan was revealed last November for PCS to ask for a change of use (from office to residential), in order to maximise the value of the site. As expected in our article, PCS was in fact planning to sell to a developer, for them to knock down the building and erect residential towers (most likely, as Wandsworth’s officers are currently considering favourably all towers between 25-30 storeys – even in location when their own planning documents say they are inappropriate). We have previously reported to branches that the NEC had agreed the sale of the Clapham Junction building and that discussions with a major developer were at an advanced stage. There have been recent developments in the process of consultation over the route of Crossrail 2, a major infrastructure project involving tunnelled rail connections across the capital. This has introduced additional uncertainty both for the current developer, who planned to knock down the building and rebuild, and for PCS, as it is also clear that the value of the building could increase significantly if the Crossrail 2 project goes ahead. We do not now intend to proceed immediately with the sale but will take further advice, including advice on realising the potential value of the union’s building in Victoria, which is currently rented to tenants, as part of our longer term planning.